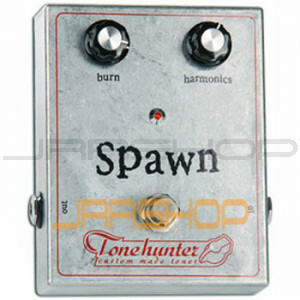 With the Spawn you can increase the Gain over again and it never sounds harsh. It's huge adjustable Harmonic reserves always sound thick and silky. The Spawn is ideally suited for every set-up, adding one more little quantity of power perfect for Classic rock to modern hi-gain sounds.